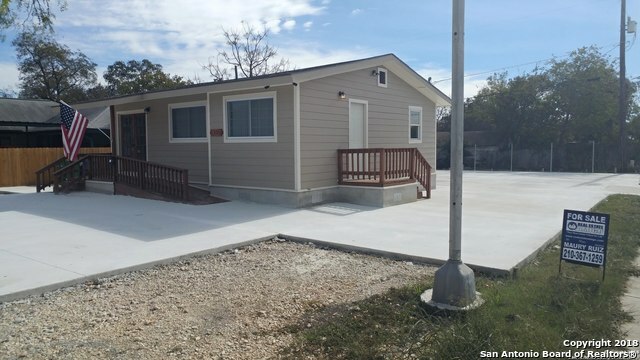 All SAN PEDRO PLACE homes currently listed for sale in San Antonio as of 04/20/2019 are shown below. You can change the search criteria at any time by pressing the 'Change Search' button below. "4 Bed / 2 Bath Charming One Story Home located in San Pedro Place. 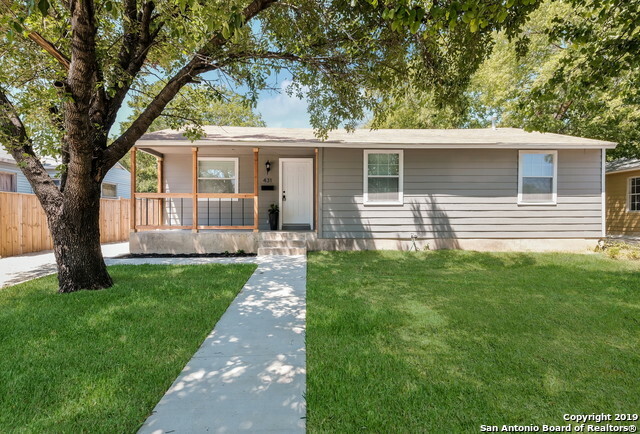 This home features updates throughout including Fresh Paint, Beautiful New Wood Laminate and Carpet Floors, and Updated Kitchen and Bathrooms. Warm Kitchen offers Granite Countertops, Stainless Appliances, Subway Tile Backsplash, and plenty of natural light. *Spacious Backyard is Fully Fenced in, has Mature Trees, and features Outbuilding for Storage." "CHARMING EXECUTIVE HOME/OFFICE***CORNER LOT***COMMERCIAL POTENTIAL*** IN HIGH TRAFFIC STREET***IDEAL LOCATION FOR PROFESSIONAL OFFICE, INSURANCE, LAWYER, ETC**PLENTY OF PARKING SPACE**NICE ORIGINAL WOOD FLOORS**NEW ROOF***NEW CENTRAL AC***NEW TEXTURE AND PAINT**NEW CEMENT PAVEMENT. OWNER FINANCE AVAILABLE( Currently zoned R-4 CD (Conditional use for Music Store)"
"Darling remodel! Take a look at this One story gem on the charming street of Westwood Dr. Siding, New Roof, New floors, New carpet, Stove, Microwave and fully renovated bathrooms! This home is move in ready!" "Charming Older home with mature trees near Downtown. ORIGINAL hardwood floors that are currently being redone. Antique faux fireplace mantel in Lvng. Rm. Kitchen has NEW Granite & New SS Appliances, freshly painted. NEW concrete driveway, NEW privacy fence. Large backyard & huge deck. Centrally located near Olmos Park, IH-10, 281 & San Pedro park. Show today! Some work being done to get it ready." "Renovated and upgraded 3 years ago. Come check out this amazing opportunity to own. Expansive open floor plan with large back yard and detached shop/garage. Backyard large enough for entertaining. Space to make a third bedroom. Easy access to highway and shopping. Motivated seller reviewing all offers."